The Google Play Store has received an update that will hopefully quash a particularly irritating battery draining bug. 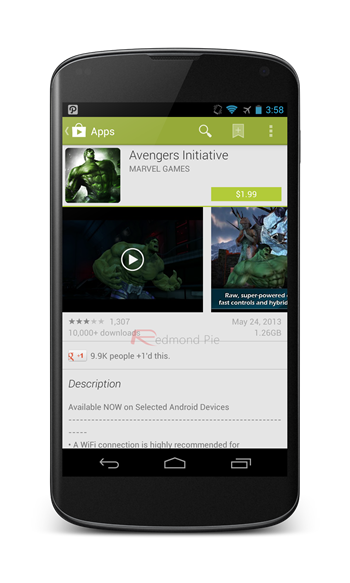 Google Play Store updates aren’t usually the most exciting of things, and with good reason. When you’re faced with an app which has the sole purpose of taking money, there’s only so much that can be done to spice it up. Unfortunately, or fortunately depending on how you look at it, some updates aren’t so much about adding features as they are about fixing bugs. That’s exactly where we are with Google Play Store version 4.1.10 update. Following on from Google Play Store App 4.1.6 APK that landed just before Google I/O recently, this small update doesn’t add anything new or even change some visual elements this time around. Instead though, it does appear to feature a rather important bug fix, especially if you happen to be the user of certain HTC branded devices. A recent Google Play Services update introduced a bug which saw a severe battery-drainage become a problem for some, with a specific location-related bug being the culprit. It would appear that the new 4.1.10 Google Play Store update corrects that issue, something that will be music to the ears of those affected – HTC users especially appeared to be in particularly bad shape. It’s currently unclear why Google didn’t simply update Google Play Services rather than pushing out an update for the Store, but if the end result is a longer lasting battery and better location sensing performance for those that were affected, then we doubt anyone will really care. Neither do we, for now. The update is rolling out to Android devices as we speak, or it can be downloaded via the link at the foot of this post if you’re the sort who just simply cannot wait, just like us. We’ve noticed some terrible Nexus 7 battery performance ourselves, so we’ll be giving this a shot forthwith. Fingers crossed for a happy ending – we sure would love our Android devices to last longer than a few hours and we’re sure you would too! 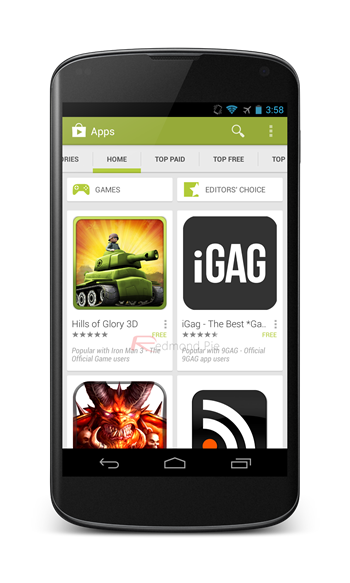 Download Google Play Store App version 4.1.10 APK from here.